It was amazing apartment, everything you need for living, coffee capsules, capsules for washing machine and dishwasher included as well. Good staff. Location near City Centre. Metro U4 2 minutes away. Cat train 7 minutes away. A bunch of supermarkets and shopping center near property. Everything was just fine. The flat itself and especially the staff are great. Thank you, Dimitrios! Location was very good. Close to lots of things and 2 subway stations. Was clean. Loved the location.walking distance to everything and nice having the park across the road. Apartment was spacious and well equipped. Staff very helpful and pleasant to deal with . Always responded when we needed something . Little kitchenette meant we could put breakfast and some simple food together. Everything was clean and the bed was comfortable. Apartment was quiet. Loved view across to the park. Awesome location close to the main historical sights in the city and public transit. Great staff, very clean, beautiful loft apartment with a view of the park. Laundry machine in the apartment was nice to have as well. Extremely comfortable bed. The property has a fully stacked kitchen (small fridge, oven, stovetop, pots and a pan. Also it has a washing machine which came handy for us and a great location (only an 8 minute walk from he Mitte mall which gave us quick access from and to the airport and to the U-bahn. Inside the mall there is a supermarket that you can get your groceries in. The apartment is located right in front of the stadtpark. We received service from Joel who was very helpful and nice. Very clean and well organized. Good value for money. The frienlyness of Demetrius, the light in the apartament. Lock in a great price for Parkview Residences – rated 9.5 by recent guests! 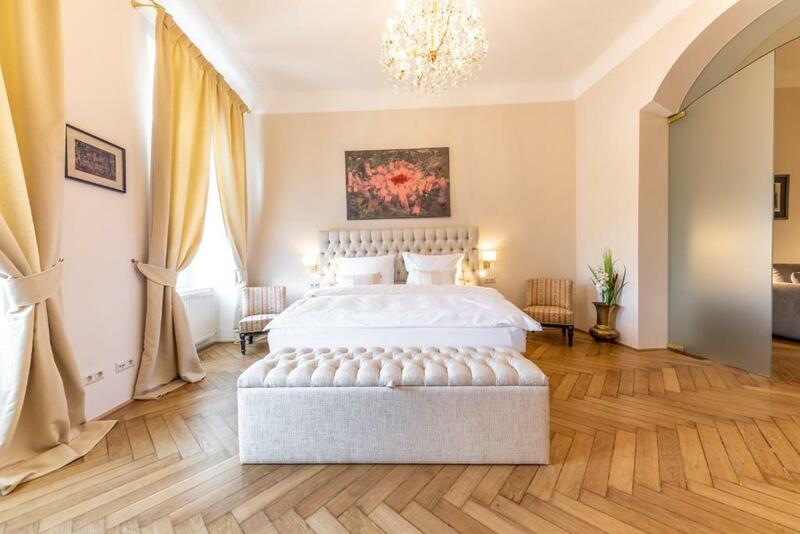 Parkview Residences offers stylish accommodations units in a historical 19th-century building in Vienna. Stadtpark is right across the street. The famous Ringstraße Boulevard can be reached within a 5-minute stroll through the Stadtpark. St. Stephen's Cathedral is 2,300 feet from Parkview Residences, while Vienna State Opera is 0.6 mi away. The nearest airport is Schwechat Airport, 9.9 mi from Parkview Residences. When would you like to stay at Parkview Residences? This suite has a kitchen, stovetop and flat-screen TV. This apartment has a dishwasher, oven and seating area. This studio has a iPod dock, private entrance and seating area. This apartment has a washing machine, sofa and electric kettle. This apartment features a seating area, oven and toaster. This apartment has air conditioning, flat-screen TV and stovetop. 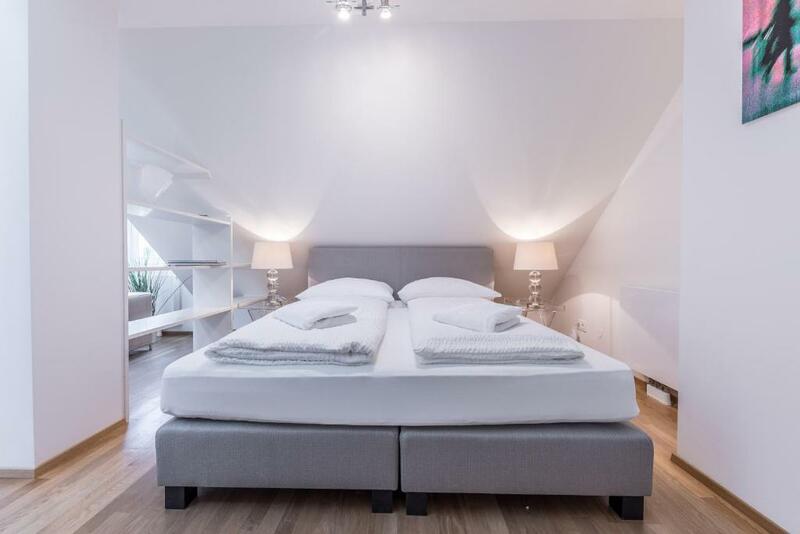 In the heart of Vienna, the City Center Residence offers classic high-class living in a modern, up-to-date setting with its state-of-the-art furniture and extremely comfortable beds. Advantage of self check-in! Under 3 night stays on request. High-end luxurious living situated in the heart of Vienna. In front of the Stadtpark, 5 minutes walking distance to the St. Stephan's Cathedral, Vienna's most important landmark. Within walking distance of most of Vienna's most important attractions. Nice restaurants throughout the neighborhood. Underground station just across the street. Main attractions within walking distance, minutes to underground stations lines 3 and 4. A stone's throw away to the CAT (City Airport Train) with in-town check in and taking you to the airport in 16 minutes. House Rules Parkview Residences takes special requests – add in the next step! Please provide a valid phone number during booking as it is necessary for check-in. Please note that before arrival, you will receive an e-mail from the property important information for check-in (containing a phone number, directions, check-in procedure). On arrival at the property, please call the phone number to receive the code for the safe containing your room key, a map, and instructions for the apartment. The phone number can also be found next to the safe. The next day, you should go to the property’s office for registration and payment. Please inform Parkview Residences of your expected arrival time in advance. You can use the Special Requests box when booking, or contact the property directly using the contact details in your confirmation. Nothing to complain at all. The location, accessibility, the property itself. We were very much surprised and pleasantly at that. Will come to stay again! Very good location, near Stadt Park, nice and cozy apartment, very nice and helpfully host, Gabriel. Although the first impression of the apartment was nice we soon realised that most of the furniture are from Ikea and not build to last. On a closer look many minor flaws in the apartment became visible. The heating covers almost came off. The doors of the cupboards in the kitchen did not really fit. Screws in the walls were loose. One chair was broken and the bed kept moving around as there was no way to fixate the rolls under the bed. The hosts are very nice. The location is really central and the view from the apartment on the the Stadtpark is nice. You can reach all the major sights on foot or by using the subway for a short ride. The first impression of the apartment was nice and it is quite spacious. All the appliances worked just fine. Especially the heating and the hot water worked really well. Not your fault but the building works (drilling) were extremely noisy and started at 7am several mornings running. Light, airy rooms, with imaginative decor. Excellent location opposite the Stadtpark. Helpful staff. Very clean and modern, excellent location. Staff very helpful an easy to help with any needs. Room, big and long bed. Location. It was a little bit hard to find reception as signboard isn't obvious (mostly it was connected to my inability to call on reception, because of roaming issues. The ideal placement for a family. Beautiful city park with child playgrounds is in 20 meters. The city center is really close so you can go there on foot. Metro station, tram station, city train station is in 3-5 minutes. So, you can visit remote attractions without spending additional time (on walking) or money (on taxi). If you want to cook something for your kid, you will find everything you need in an apartment. Very pleasant guys on reception. The apartment is fantastic, beautiful,super clean,really very unusually specious for 2! very comfortable bed,2toilets,a very modern apartment in an old charming historical building! Its extremely well located,a 5min.walk through StadtPark to the historical city center and literally around the corner from the CAT train 16min direct to and from the airport!! What more do you want!would highly recommend and will definitely be back! The young man who welcomed us was incredibly friendly ,and helpful,his 2 restaurants recommendations next door were great,for convenience after a long day traveling,or if not in the mood to walk too far,great typical Viennese cuisine if you want to try specialities and Greek restaurant opened all the time until midnight! Thank you! We had 4 wonderful days!! Early check in was arranged, receptionist very helpful and we were able to leave our bags for the day after we checked out. Very good location, the appartment was very nice and clean. We want to thank Joel for his warm welcome and the bottle of champagne for my birthday. He is born for the job! We will return. The location was truly wonderful. I especially enjoyed the walk through the park every day when I needed to get to and from the apartment. It was spacious and clean. A wonderful stay.